Available from Amazon (both kindle and print) and on Smashwords. Read all about it on Goodreads! 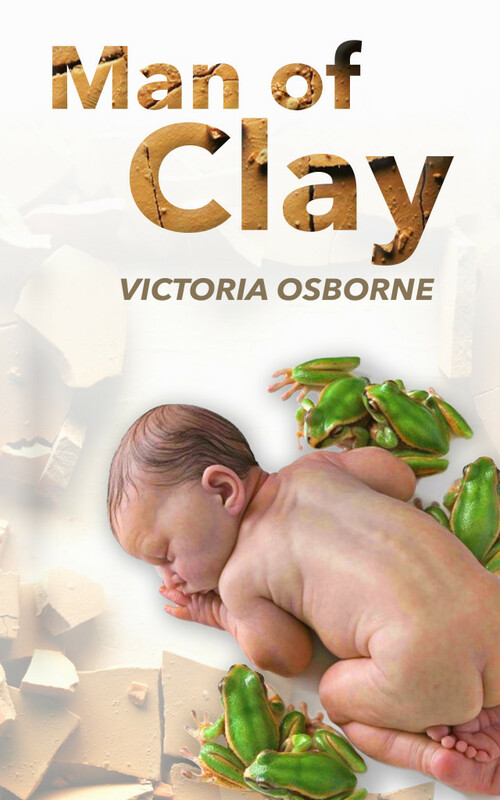 Man of Clay is an adult literary novel about a ceramicist called Connie who cannot keep her family together. As she builds her last ever exhibition she reflects on the life lived with her ex-husband, his next two wives and their five children. It’s a climate change novel. The main thread of the novel is set in 1999, when we expected great things. Connie’s ex-husband is a herpetologist and, as many biologists around the world were at that time, extremely concerned about the future for frogs. Frogs were undergoing strange disappearances and mutations that had herpetolgists arguing in conferences – and the strange thing was – it turned out that all their theories were right, global warming, habitat loss, pollution, were to blame for the frog’s demises. The main culprit was chitrid fungus. And that came in on the back of introduced species. All these threats are caused by human activity. And the greatest change of all is the amount of humans on the planet. So how do humans cope with change? And why do humans fight so hard to keep reproducing? What are our priorities? Thank you for your comments on Amazon, Goodreads and Smashwords!